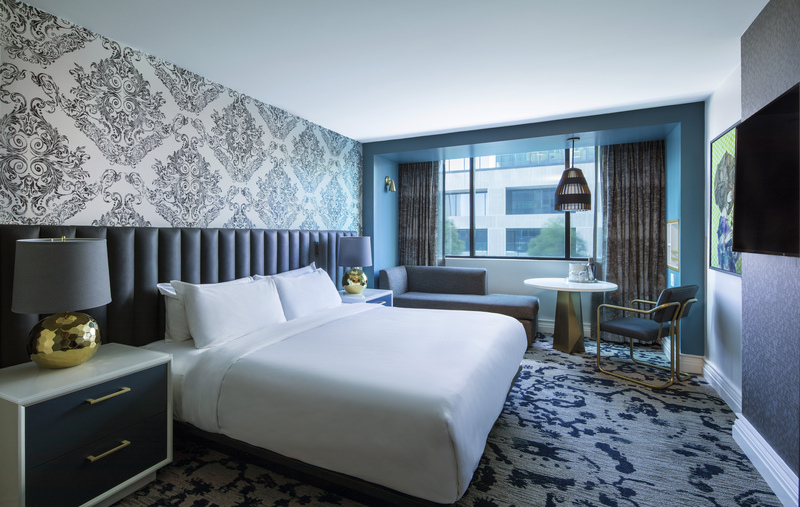 C+TC Design Studio designed the guestrooms, suites, and Whiskey Blue club at the W Atlanta - Buckhead. 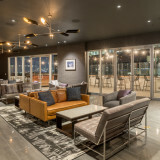 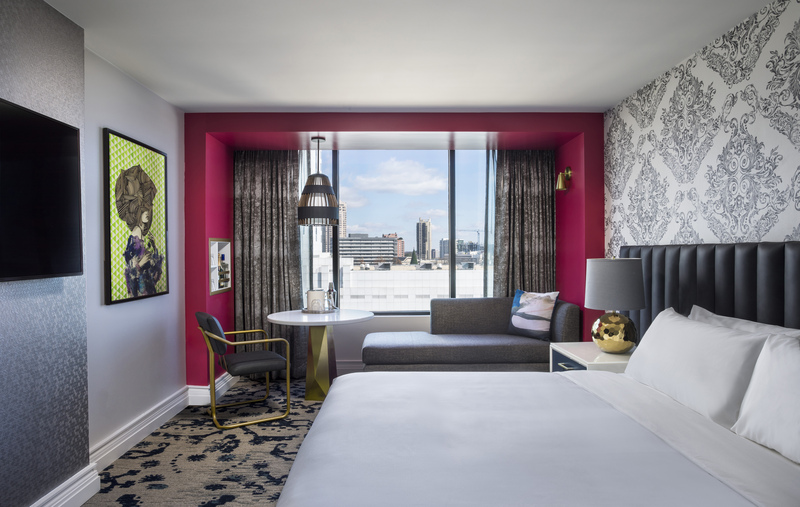 Quietly nestled between the towering high-rises and luxury hotels, the hotel is a juxtaposition dressed in a modern persona with a mid-century soul. 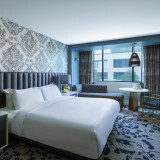 The corridors feature striking patterns, brass accent fixtures, and winding carpet that gives the feeling of walking through a secret garden passageway; while the guestrooms and suites incorporate materials of dark metal and glass walls, reminiscent of the many retail storefronts that line the streets of the city. 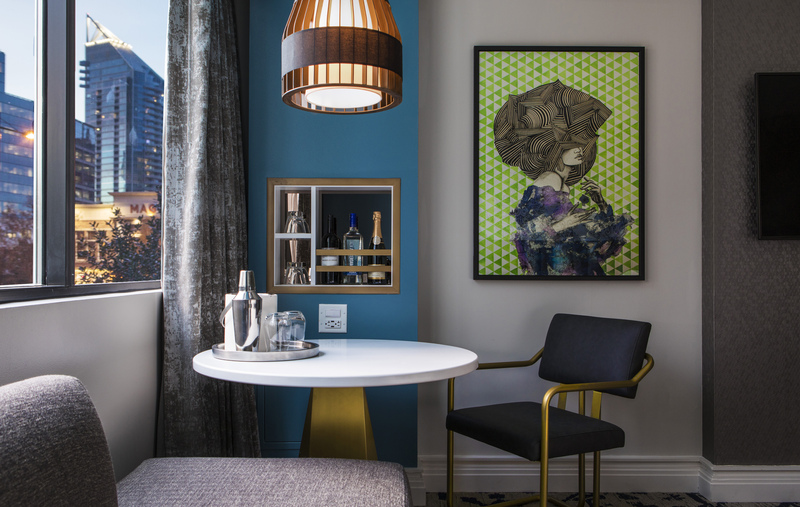 Playing on the dichotomy of traditional and hip, the design sparks imagination through bold prints and unconventional details that give a nod to the mid-century era. 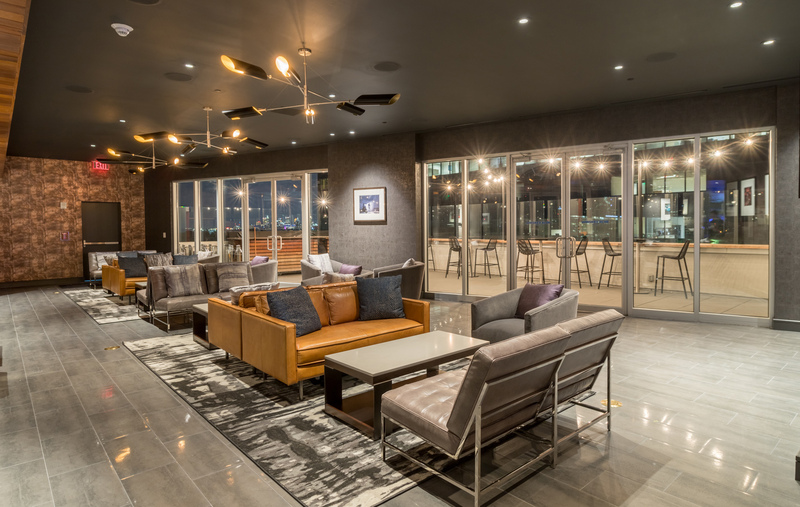 The project features 267 suites, 5 premium suites, and a rooftop bar.